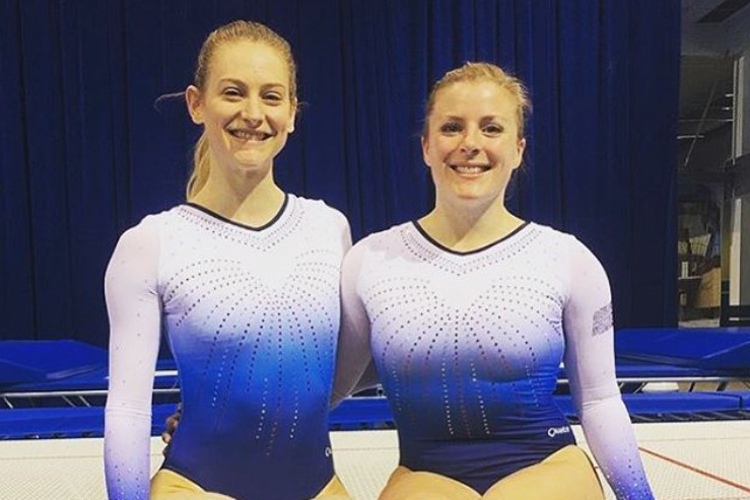 Welsh star Maisie Methuen took two gold medals for Great Britain in Portugal over the weekend, after successfully winning both the beam and floor finals. On the beam, Maisie qualified in 5th place. In the final she produced a strong routine with just a small wobble on the dismount to move right up the rankings and clinch the gold medal with a score of 12.850. 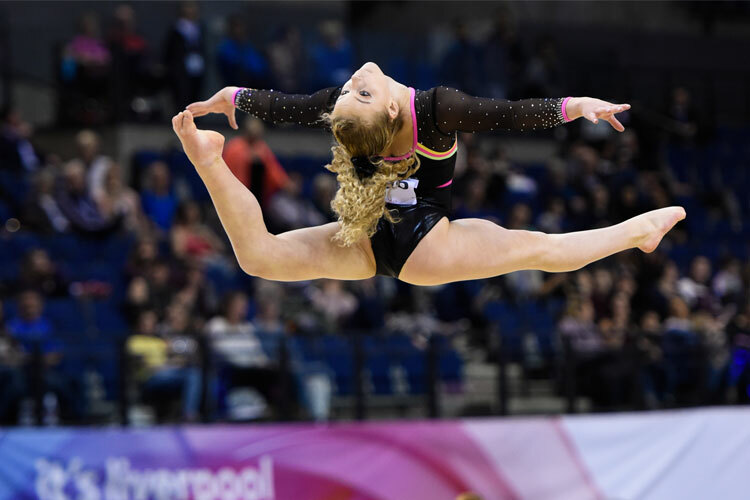 Over on the floor, Maisie upped her game once again, with expressive choreography and precise tumbling to finish top with a score of 13.100. Teammate Emily Thomas also made the vault, beam and floor finals. Emily finished 8th on vault and 6th on the beam and just outside the medals on floor in 4th losing out to a tie break in 3rd with a strong score of 13.000. 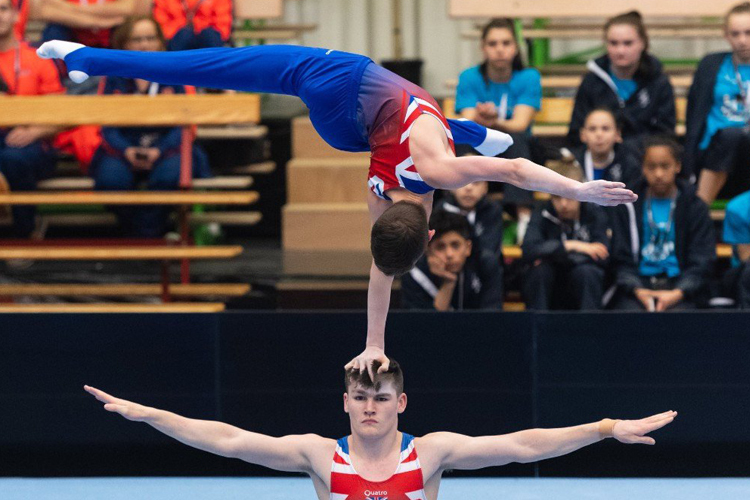 Joe Fraser and Giarnni Regini-Moran represented Great Britain in the men’s event, both gymnasts coming back from injury. Joe successfully made three finals, finishing 8th on pommel, 8th on rings and 8th on parallel bars.